Because Mozilla believes that young people must be empowered to speak to, and shape, key social issues, the Learning team proudly serves as connector for influential leaders who use web literacy and 21st Century skills to enhance opportunities for youth to be active agents of positive change. 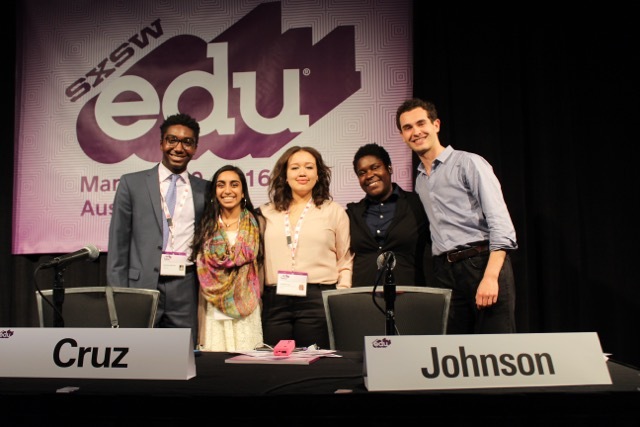 Andrew Brennan (far left) at Student Voice’s SXSWEDU panel earlier this year. Photo provided by Andrew. This month’s community spotlight is on Andrew Brennen, who in his junior year of high school co-founded Student Voice, a for-students-by-students nonprofit organization to integrate student voices into the global education conversation. Andrew is now a sophomore in the Robertson Science Leaders Program at Chapel Hill in North Carolina majoring in Political Science, and serves as the National Field Director for Student Voice. Andrew recently presented his work on a Mozilla Learning Community Call about youth activism and Student Voice is a fellow partner with Mozilla through the Letters to the Next President 2.0 campaign. Learn more about Andrew and his work. Who or what originally inspired you to stand up as a leader at a young age? Like most people, I know my original inspiration came from a teacher. In this case, my AP Government teacher in high school. Ms.Mckenzie made learning fun through a variety of hands-on and group activities, a relief for a fidgety high school student like me. But her real value came from the support she provided me OUTSIDE the classroom. She knew when I came to school and didn’t seem right. She checked up on me to see how I was doing in other classes. She pushed me towards extracurriculars like Speech and Debate, and she encouraged me to apply for the US Senate Page Program my junior year of high school. This support gave me the confidence I needed to take my learning outside of the classroom and take some risks. Ultimately, this led to the creation of the Prichard Committee Student Voice Team and many great experiences in high school. Where did the idea for Student Voice originate? What fueled your passion to turn the idea into reality? 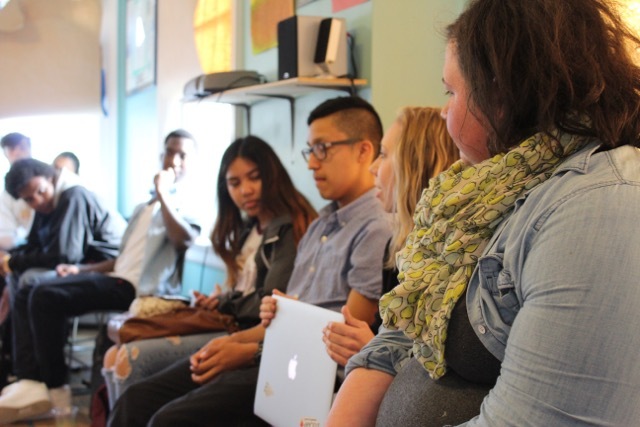 Student Voice as an organization started when a small group of students started weekly #StuVoice Twitter chats. The goal of these chats was to capture the energy of students all around the country who were wanting more of a say in their education. These chats were by all accounts a success. Groups like the Iowa Student Learning Institute began collaborating with groups like the Houston Independent School District Student Congress. Students in California advocating for stronger policies to support their classmates with learning disabilities were connecting with experts in DC who could support their efforts. These chats were creating a digital community around the concept of student voice. But we knew this was not enough. We knew that we weren’t going to be able to capture the voices of ALL students on these chats; the limitations were obvious. So in January we embarked on a national tour effort with the goal of visiting students in their communities to talk about their schools. We have since visited 20 states, over 50 cities, and have conducted well over 200 roundtable discussions with private, public and charter high school students all across the country. The critical energy behind this work is driven largely by our status as students. 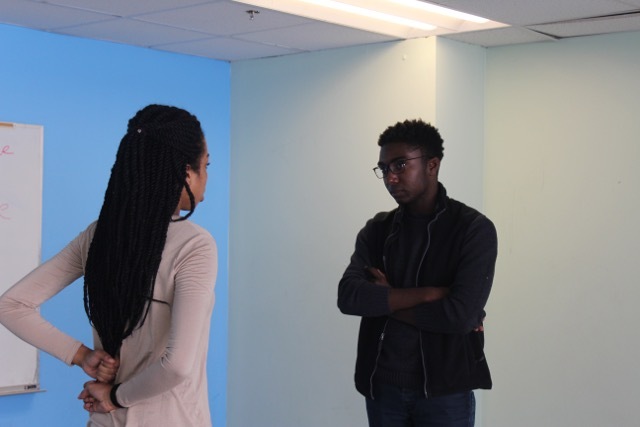 We don’t like feeling powerless to improve our education system, and we observe that sometimes, to keep equity front and center, it takes students themselves to speak out. Andrew (right) speaking with a student about her college transition process and her plans after graduating high school. Photo provided by Andrew Brennen. What resources benefit young people who want to become leaders in their communities? Start as locally as possible. Too many people overlook the good they can do right now in their community. Look at local community development organizations or see how you can get involved with a local advocacy organization or nonprofit. This is where young people can truly make a difference. Speech and debate, as well as Youth in Government programs are also great places to start building a network. Student round table in Providence, RI at a Student Voice Summit. Photo provided by Andrew Brennen. How can people get involved in Student Voice? You can learn more about Student Voice here and keep up-to-date with Andrew’s work on Twitter.